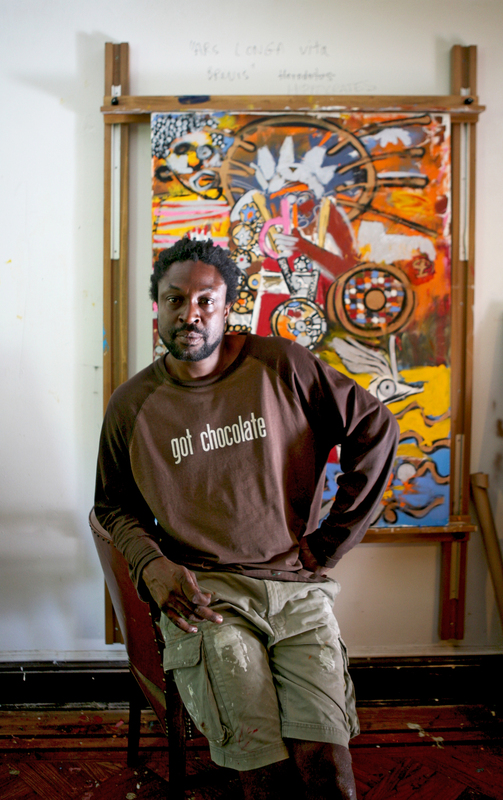 We recently took a drive to the Valley Arts District in Orange, NJ, a designated arts neighborhood in transition, to chat with fine arts photographer and multi-disciplinary artist, Terry Boddie, at his studio and gallery space, Oualie Art. The gallery currently featured a sampling of his work throughout the years, giving us the sense of his development and willingness to take risk. Nestled in a giant warehouse in Greenpoint, is a vast fluorescent lit studio with rows upon rows of floral supplies running its length for the company that cohabits the space with our featured artist: nature-inspired sculptor, Christina Watka. "I keep falling into these invisible women". We were more than happy to visit artist, Kimberly Becoat, at her studio for a two on one chat with Ishka Designs. A very soulful individual, Kimberly's art has a tendency to tackle the female form from a unique perspective, inspired mainly by intriguing women that you may or may not have heard about. Her paintings range from abstract to figurative to anywhere in between all infused with a strong sense of color, form and texture. Niya and I had the pleasure of spending the day with Peruvian born artist, Victor Raul Garcia in his pied-à-terre in Manhattan. A reserved personality, we managed to touch on topics ranging from country living with his partner in upstate New York where Victor now paints full time, his artistic self-discovery in recent years and what truly inspires him to create his beautiful pieces.